New and Now. Your wait is over for this ethereal residence- with sky and water views that originate from this apartment which comprises the whole 10th floor of one of downtown Sarasota 8217;s hottest buildings- 624 Palm. 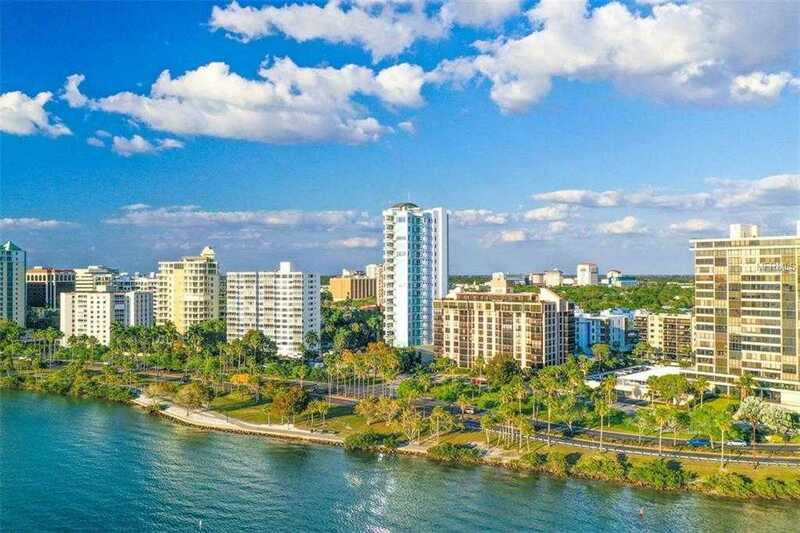 The setting is tree-lined Palm Avenue, with its unrivaled peaceful yet convenient location to all of the downtown amenities you could ask for as well as dramatic skyline views of the Bay, Gulf and Sarasota 8217;s Barrier Islands. The residence boasts nearly 4,200 square feet of refined living space which are finished in a modern, yet warm feel. The finish selections made in this unit present a blank canvas for the new owner- the flooring is wood throughout, the walls are pure white zero VOC paint, the cabinets and countertops are a tasteful mix of finishes, and the nine foot walls of impact glass provide the ultimate backdrop to artfully live your best life! This apartment comes with two private secured garage spaces, two storage closets, electric car charging station, and private secured 10th floor elevator lobby. 624 Palm features a panoramic 19th floor rooftop deck for parties, a heated pool and spa, upscale meeting and party room, a state-of-the-art fitness onsite fitness center, and a weekday dedicated concierge. This opportunity will not last long- schedule your private showing of this residence today. Please, send me more information on this property: MLS# A4428700 – $3,935,000 – 624 S Palm Ave #10, Sarasota, FL 34236. I would like to schedule a showing appointment for this property: MLS# A4428700 – $3,935,000 – 624 S Palm Ave #10, Sarasota, FL 34236.